Indian chess star – a woman grandmaster and former world junior girls’ champion – Soumya Swaminathan has pulled out of the Asian Team Chess Championship, to be held in Hamadan, Iran, from July 26 to August 4, refusing to accept the Islamic country’s compulsory headscarf rule. Since the Islamic revolution of 1979, Iran has required women to wear a headscarf in public places. Women can only show their face, hands and feet in public and are supposed to wear only modest colours. There is no element of voluntariness involved. “It seems that under the present circumstances, the only way for me to protect my rights is to not go to Iran,” said the 29-year-old in her post which went viral on social media. She further said that the religious dress codes should not be imposed on players. “I understand the organisers expecting us to wear our National Team Dress or Formals or Sporting attire for our games during official championships, but surely there is no place for an enforceable religious dress code in Sports,” she added. Swaminathan, ranked 97 in the world among women chess players, further remarked that she was disappointed to see that player’s rights and welfare being given scant importance while organising official championships. “I am very sorry to state that I have asked to be excused from the Indian Women’s team for the forthcoming Asian Nations Cup ( Asian Team ) Chess Championship 2018, to be held at Iran from 26 July – 4 Aug 2018, as I do not wish to be forced to wear a Headscarf or Burkha. I find the Iranian law of compulsory Headscarf to be in direct violation of my basic Human Rights including my right to freedom of expression, and right to freedom of thought, conscience and religion. It seems that under the present circumstances, the only way for me to protect my rights is not to go to Iran. I am very disappointed to see that player’s rights and welfare are given such less importance while allotting and/or organising official championships. I understand the organisers expecting us to wear our National Team Dress or Formals or Sporting attire for our games during official championships, but surely there is no place for an enforceable religious dress code in Sports. 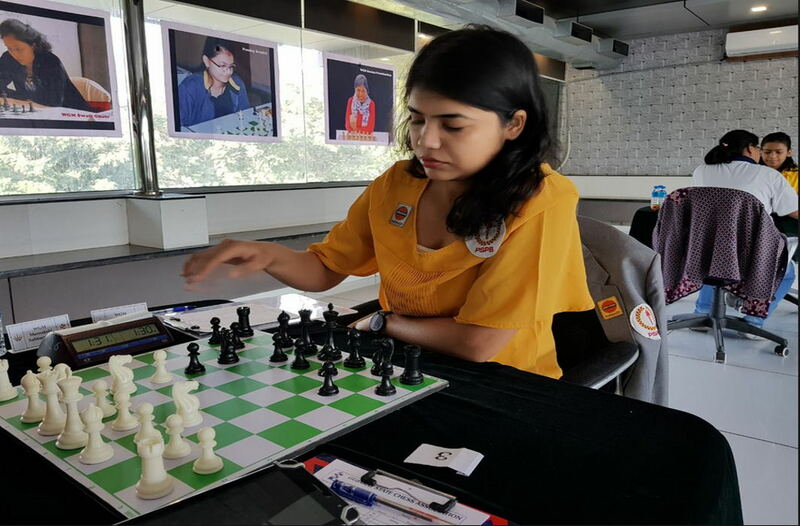 Ranked 97 among active women players in the world and fourth in India, Swaminathan also criticised chess officials for allotting events to countries without taking players’ rights into account. This is not the first time an athlete pulled out of an event over the same issue. In 2016, top Indian pistol shooter Heena Sidhu had withdrawn from the Asian Airgun Shooting Championship in Iran due to the compulsory hijab rule for women athletes, said media reports. In 2016, Georgian-American chess champion Nazi Paikidze boycotted the world championship in Tehran, taking to Instagram to call the hijab law “oppressive”, reports said. In 2017 the Iranian Chess Federation banned 19-year-old Dorsa Derakhshani – the country’s second woman international chess master – for attending competitions abroad without wearing the headscarf, compelling her to play from the US side, said a media report.